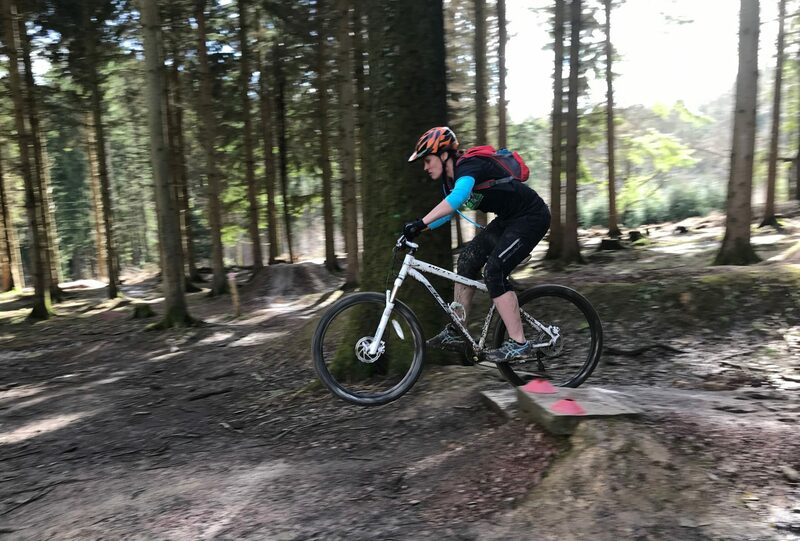 The aim of this coaching session is to give you the confidence to move onto more progressive mountain bike features such as jumps and drops. This course is a full day of coaching, will include lunch, small learning groups, and video analysis which will be reviewed over lunch in the classroom. 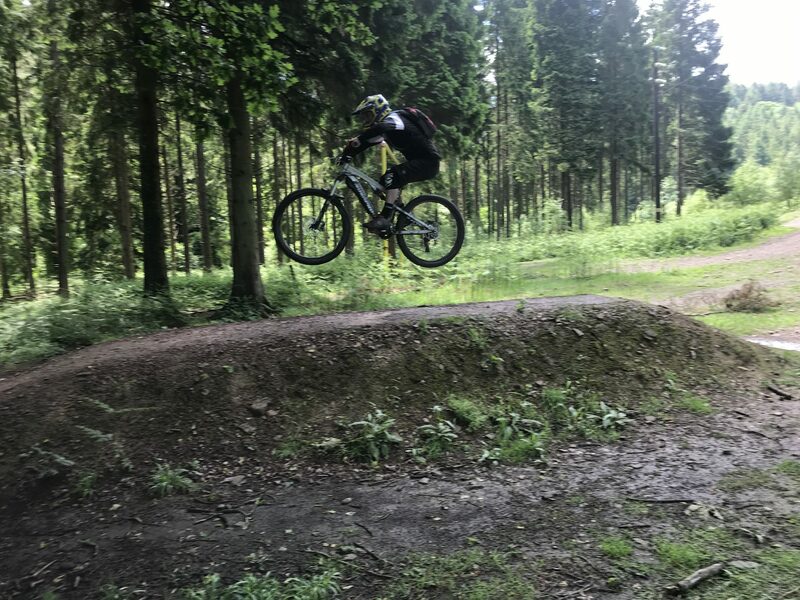 All courses are based at our local trail centre PedalaBikeAway which allows us to utilise the network, café for lunch and classroom to watch and review your skills on the TV. 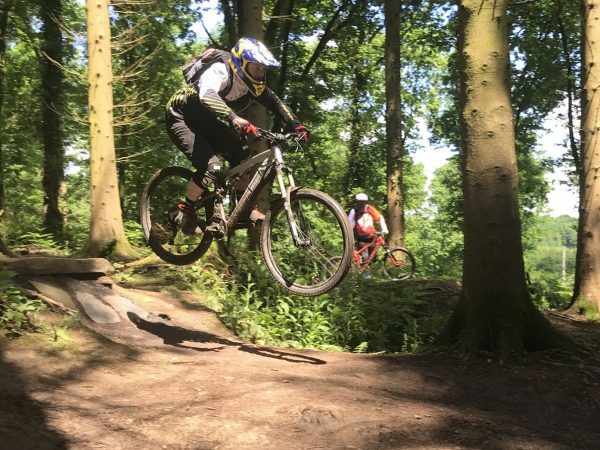 The content of this coaching day includes the final steps before you’re ready to take on the Jumps and Drops course offered by Pedalabikeaway. This course brings together the learning from the Core Skills course and the FoD Flow course to cement all the skills needed to progress to the next level. 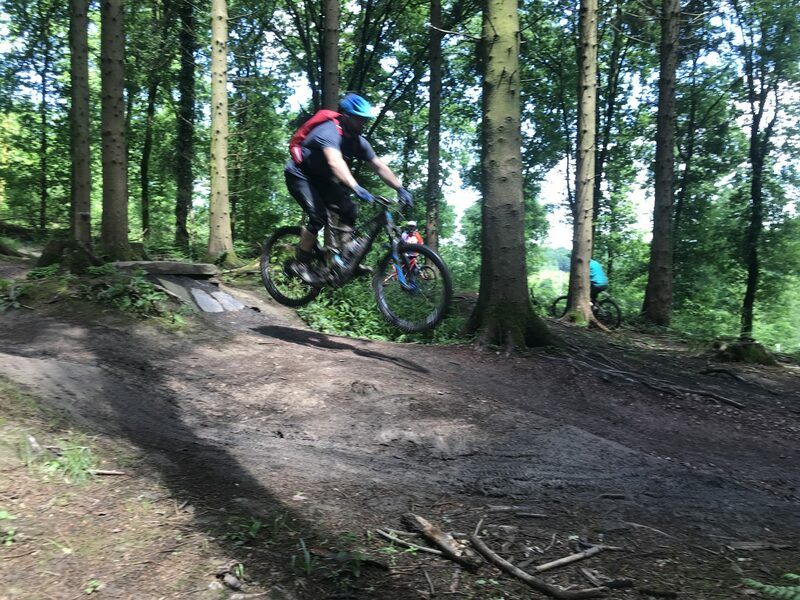 The course will be based on the downhill lines and our purpose built jumps and drops course situated at the Cannop Cycle Centre. There is a maximum of six participants for this session. The session lasts for 5 hours in total which includes lunch. Starting at 10 am, we ask that you, please be ready to ride for 9.45am.